Atlanta police released a surveillance video of Vernon Forrest’s murder which has aided in the arrests of at least 2 suspects. 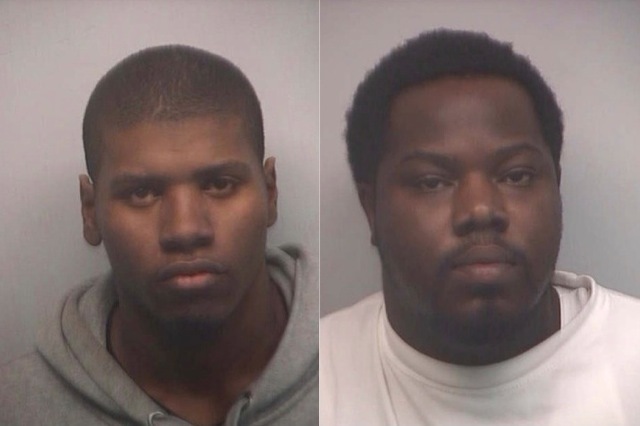 Damario Ware, 20, (left) made his first court appearance Wednesday morning after turning himself in the day before to the Fulton County District Attorney and Jquante Crews, 25, (right) of Dallas was arrested late Wednesday afternoon at the College Park home of his brother. Crews is the second to be charged in Forrest’s death and authorities are still searching for the shooter. Neither Crews nor Ware are suspected of pulling the trigger but both are accused of being involved and police think they know the shooter. A surveillance camera in the parking lot of a southwest Atlanta convenience store captured an image of Ware approaching Forrest as he was putting air in a rear tire of his Jaguar intending to rob the boxer. Forrest was robbed of his Rolex watch and championship ring. Crews is believed to be the driver of the Pontiac Grand Prix used as the get-a-way car. Police say Forrest was armed at the time of the attempted robbery and fired shots at Ware and chased him. The former boxer was walking back to his car when he exchanged words with another man. After realizing he had confronted the wrong person, Forrest turned away to leave. That is when he was shot in the back, police said. The shooter is still at large.